Here are the first steps from your initial inquiry to the application. How to get started and what to do are laid out below in bullet and paragraph format. This will guide you through the general process of this unique program. 1. Become aware and realize that this program exists for home refinances and purchases plus how it may benefit you. 2. Thoroughly review this website to get an understanding of the program. 3. 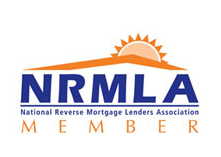 Request the Free Reverse Mortgage Information Packet to see what you may qualify for from this loan. Review and understand the costs, rates, benefits, and options. 4. Call or email me to answer all of your questions, discuss your personal situation and review the material. 5. Contact a HUD Approved Counseling Agency to complete your required counseling (by phone or in person) and receive your certificate. Please note the counseling is a borrower paid expense to the Independent HUD Counseling Agency. The counseling may take between 1 – 1 ½ hours to complete the process. Click here for a list of the national intermediaries or click here to find a local California counseling agency. 6. Contact Dean Jones at 1-888-323-3555 to start the application process. The first step is Awareness. This is where the senior homeowner learns that such a program exists and starts the inquiry process. It may also have been discovered for them by their children or another family member/relative, neighbor, friend, financial advisor, etc. This program may have been brought to their attention from a magazine/news article, a radio/television advertisement, word of mouth, direct mail piece, our website, etc. The next step is Education. This can all be done from the comfort of your home. In Real Estate they say Location, Location, Location but in the Reverse Mortgage Industry we say Educate, Educate, Educate. Review our website thoroughly, request Your FREE Reverse Mortgage Information Packet, and contact us to answer all of your questions plus discuss the program specifically for your situation. You can now move on to Counseling. It is a requirement for all borrowers to attend an independent counseling session. This can be done over the phone or face to face through a local HUD approved counseling agency or a national counseling agency. Going through the counseling process, does not commit or obligate you to proceed with the loan. It is done for your protection and benefit. This will give you the opportunity to talk with another individual and review the program. The certificate is good for 180 days. Now you are ready for the Application. Once you have completed the counseling (this can be done after the application however I prefer that you have completed it already), reviewed all of the material, had all of your questions answered, and are ready to start the loan application then contact me. I will guide you through this standard process. The application can be sent to you or as I prefer to meet you face to face at your home to personally review the loan documents and to view the property prior to the appraisal.